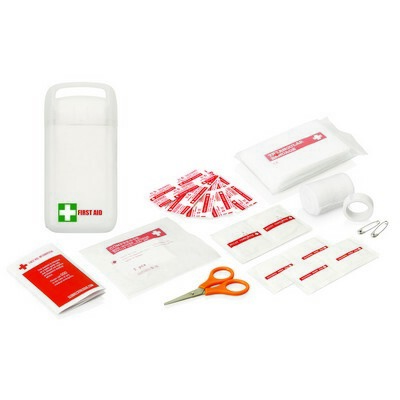 Practical, portable first aid kits can suit a number of scenarios, promoting your brand in health and wellbeing very effectively. Colours: White. Decoration Method: Pad Print. Decoration Area: Print: 50 x 40mm. Packaging: Gift Box.